Fifth Avenue and Central Park West may have views of Central Park, but the centerpiece of this complex on Battery Place overlooks not only Battery Park but also the Statue of Liberty, the Castle Clinton National Monument, Ellis Island, Staten Island, Brooklyn, New Jersey, and Pier A, the city's colorful fireboat station. The southernmost building, 17 Battery Place, was long known as the Whitehall Building and was designed in 1902 by Henry J. Hardenbergh, the architect who would design the Plaza Hotel a few years later. It was expanded in 1910 with designs by Clinton & Russell, best known for the great tower at 70 Wall Street and the Apthorp Apartments on the Upper West Side. With its great arched roofline, it was an important part of the city's famed skyline that romanced the world after the turn of the 20th Century and up to the erection of the Chase Manhattan Plaza tower that disrupted its neo-classical spires with its bulky modernity, a prelude, of course, to the subsequent architectural jolt from the twin bolts of the World Trade Center. Thanks to the great former U. S. Customs House at the foot of Broadway two short blocks to the west, this building faces on one of the world's most elegant vistas. The complex of three buildings also includes a 22-story office building that was erected in 1972 facing the windowless, limestone-clad, Brooklyn-Battery Tunnel Ventilation Building between Washington and Greenwich Streets that was erected in 1950. GFI Capital resources bought the complex in 1997 for more than $70 million and then sold a 22-story office building and the lower 14 floors in the other two buildings with an aggregate total of about 1.2 million square feet of office space to the S. L. Green Realty Corporation, a real estate investment trust. After some relocation of commercial tenants, GFI then formed a partnership with Savanna Partners that intended to convert the upper portions of the complex to a 325-room Ritz-Carlton Hotel, a business center, and 90 condominium apartments with hotel services. 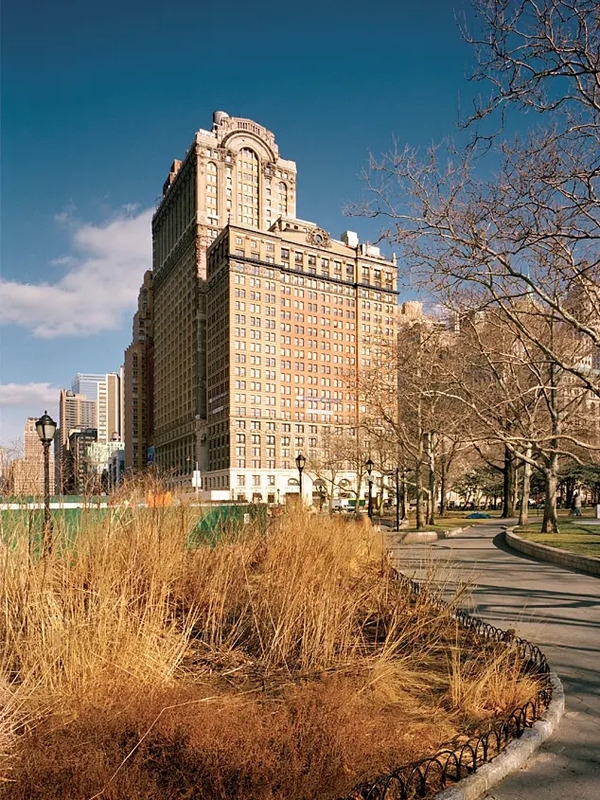 Subsequently, however, negotiations with the Ritz-Carlton chain broke down and the chain decided to manage another property nearby that was being developed by Millennium Partners at Battery Park City just to the west. In August, 1999, the partnership sold the upper portion of the complex, which consists of about 440,000 sq. ft. to the Moinian Group for $42 million. The space, entirely in the older buildings, includes the basement and floors 14 through 31. The Moinian Group announced it would spend $58 million to convert those spaces into luxury rental apartments including 10 duplex penthouses. Its project, known as The Ocean, has a 150-car garage, a 18,000-sq. ft. ground floor business center, a sundeck, and a health club and most of the apartments have high ceilings. Avinash Malhotra was the architect for the residential conversion. 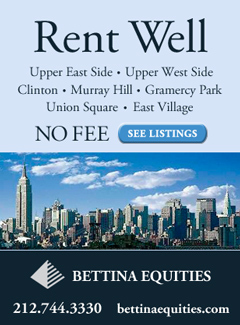 Although the project is not very close to many typical neighborhood amenities such as supermarkets, movie theaters, and restaurants, it is very close to the southern tip of Battery Park City, which has handsome parks, an impressive esplanade and considerable retail activity several blocks to the north. This building, which also has addresses of 17 Battery Place, 2-4 Washington Street, 1 Western Union Plaza and 17 West Street, is also not far from subways and the financial district. There are plans to build over the adjacent approach to the Brooklyn Battery Tunnel but their status has not yet been determined.